The collaborative work we have done since 1983 has attempted to bring viewers into direct, intense contact with the raw materials of nature, so that they can come to see themselves as part of the seamless continuity of the natural world. We work through simplification and minimal arrangement of materials to create a clarity that reduces the distance between the viewer and the object. 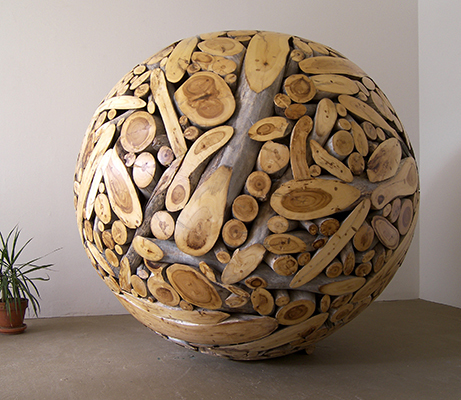 Collaborative Artists since 1983, producing an on-going body of sculptures entitled WOOD & STONE, SUBSTANCE & SPIRIT. This work has been exhibited in museums and art centers and galleries including Coconino Center for the Arts, Tempe Arts Center, Prescott Fine Arts, Phoenix Art Museum, University of Arizona Art Museum, Yavapai College Art Gallery, Sky Harbor International Airport, Tucson Museum of Art, Arizona Museum for Youth, the Scottsdale Center for the Arts, the Roswell Museum and Art Center, Austin Museum of Art, Prescott College Art Gallery, and Mesa Contemporary Arts. 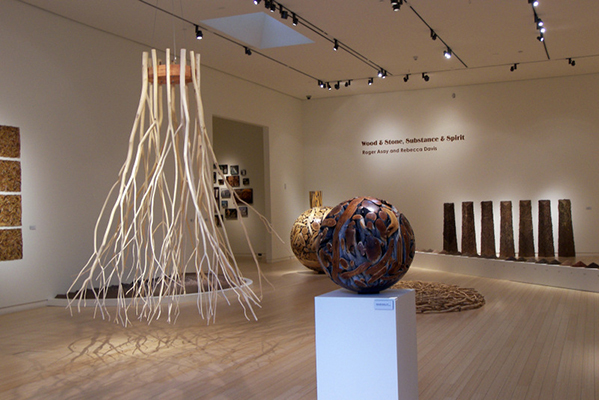 Additional joint exhibitions have occurred at the Colorado Springs Fine Arts Center; Clay and Fiber Gallery in Taos, NM, Sebastian-Moore Gallery, Denver, CO; Boulder Arts Center, Boulder, CO; “Outer World/ Inner Vision,” touring exhibition sponsored by the Arizona Commission on the Arts, 1983-85. 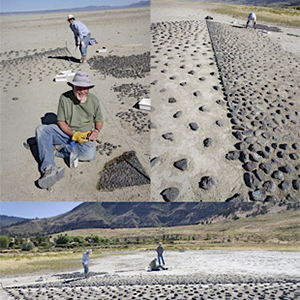 Public Art Work includes site specific sculpture at Reid Park, Tucson, AZ; Riverfront Park, Cottonwood, AZ; Lookout Mountain Park, Phoenix, AZ; Mountain Avenue Demonstration Project, Tucson, AZ; Strickland Park, Prescott, AZ; plus numerous private commissions. - Continued studies in Botany and Ecology. - Colorado Chautauqua Arts Festival,1979. - One Person: Yavapai College Art Gallery, 2006. - Year in Paris, France, 1963. - North American Sculpture Show,” Foothills Art Center, Golden, CO, 1980.